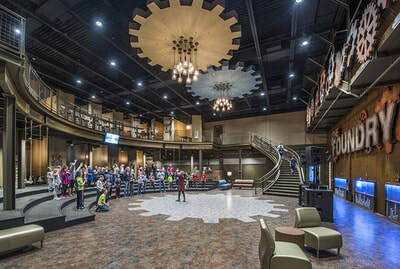 The thriving Bettendorf Christian Church was in need of a long range plan for facility growth with a focus on improved traffic flow and versatile spaces for gathering, activities and administration. 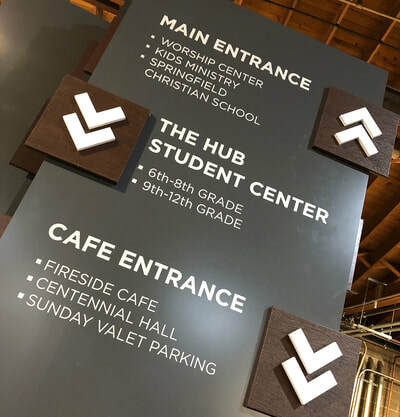 After several meetings with each ministry user group to establish their current and future needs along with their long term goals, a multi-phased master plan was developed that would satisfy the needs of Bettendorf Christian Church for the next ten to fifteen years. This multi-phased master plan was developed to sastify the needs of Bettendorf Christian Church for the next 10-15 years. 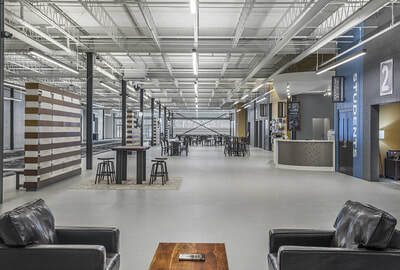 Branded environments help visitors and members easily find their way around the space. 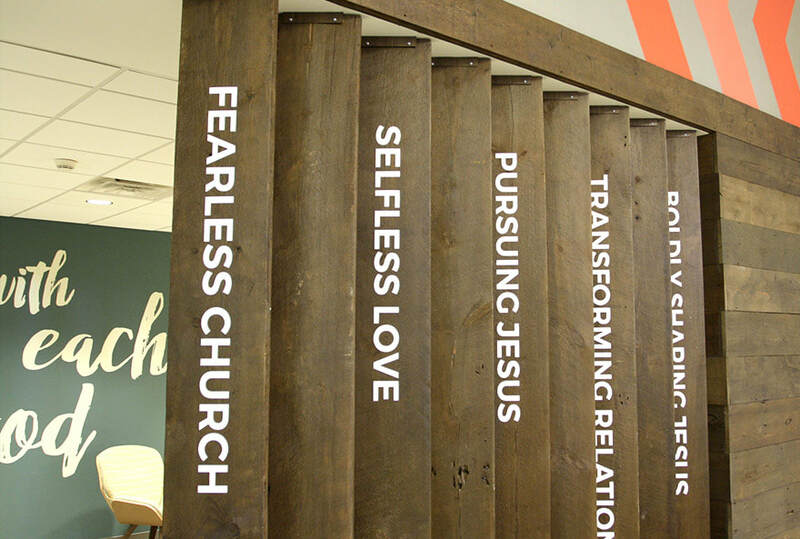 Wooden slats act as a divider but also a reminder of the mission. 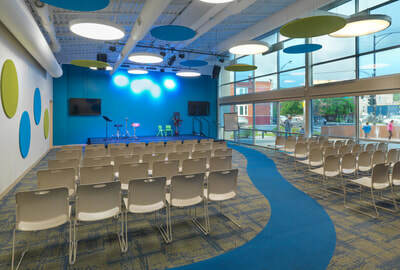 Vibrant wall graphics appeal to children and make the space more fun and inviting.